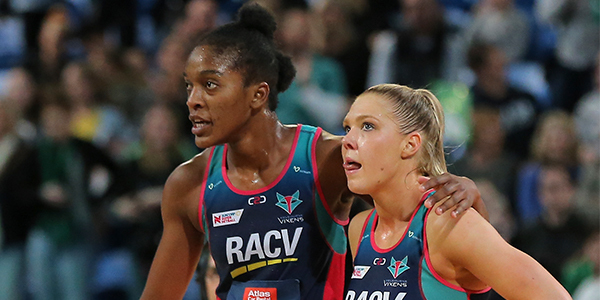 Melbourne Vixens defender Kadie-Ann Dehaney has paid teammate Caitlin Thwaites one of the highest accolades you can give to a Suncorp Super Netball shooter. Dehaney argued Thwaites, who has returned to the club after eight years with rival outfits, has the same presence as Jamaican superstars Jhaniele Fowler and Romelda Aiken. “Caitlin’s different from Mwai (Kumwenda)” Dehaney said. “She takes up a lot of space, holding-wise. She’s hard to get around. Dehaney has observed from close range all the shooting options being assessed by coach Simone McKinnis for the 2019 season. With Mwai Kumwenda recovering from knee reconstruction surgery, Thwaites, Tegan Philip and South African Ine-Mari Venter are the contenders, with training partner Rahni Samason falling victim to a knee injury during the pre-season. Venter, an animal science student from Pretoria, experienced international netball at last year’s Gold Coast Commonwealth Games but this will be her first taste of weekly examinations at the highest level. But the point of difference this year could be Thwaites. The Vixens led the way for most of 2017 before missing the grand final and went backwards last season. 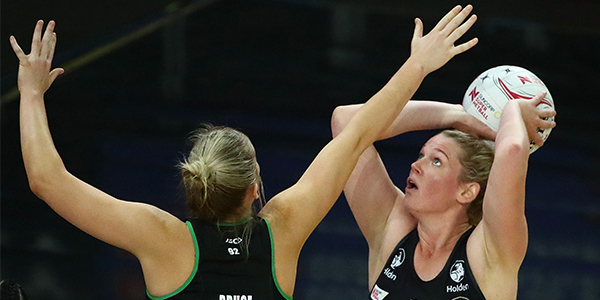 It was a disappointing result for a side boasting Diamonds squad experience from Philip, Liz Watson, Kate Moloney, Renae Ingles, Jo Weston and Emily Mannix. While there is much youth in the team, this might be the best chance this group has of winning a title together. Thwaites’s 200 games’ experience – the fourth-highest tally behind Susan Pettitt, Nat Medhurst and Bec Bulley – complements the dynamism of midcourt generals Watson and Moloney. But Dehaney warned against thinking too far ahead, insisting keeping cool heads cool will be their mantra in 2019. “This year is different. The energy and the bond are still there,” she said. “Everyone’s going for the championship but that can’t be our main focus. Dehaney made the most of her opportunities last season while Mannix was missing with a finger injury. She was named the Vixens’ rookie of the year after taking some time to adjust to the adrenaline rush of playing in front of some bumper crowds in Melbourne and Sydney. And she has been tipped to showcase more to her skillset after being pushed outside her comfort zone by some of the world’s best shooters. “My strength is against the standing shooters,” the 22-year-old said. “I’m not as good against the moving ones but having said that I really enjoyed playing against the Giants.